It’s been 13 years since we got together, so I thought I would mark our ‘anniversary’ with a chat. A reflection. To start off, you are inescapable and at times, let’s be honest, a first class arse hole. You have seen me at my most vulnerable and at my strongest. You have knocked my confidence but then pulled me back up and held my hand. Who needs a rollercoaster when you have you. I can’t escape you, in all truth, if you were a boyfriend I would have dumped you 13 years ago. You are with me 24 hours a day, 365 days a year on repeat. There isn’t an off button, an ‘I’ll just take a break from you’ for a few hours. You are there. Persistent, aren’t you. Most people don’t understand you. They don’t understand your complexity, your ‘I don’t care whether it’s day or night attitude’. Your ability to cause as much short-term damage as long-term damage. 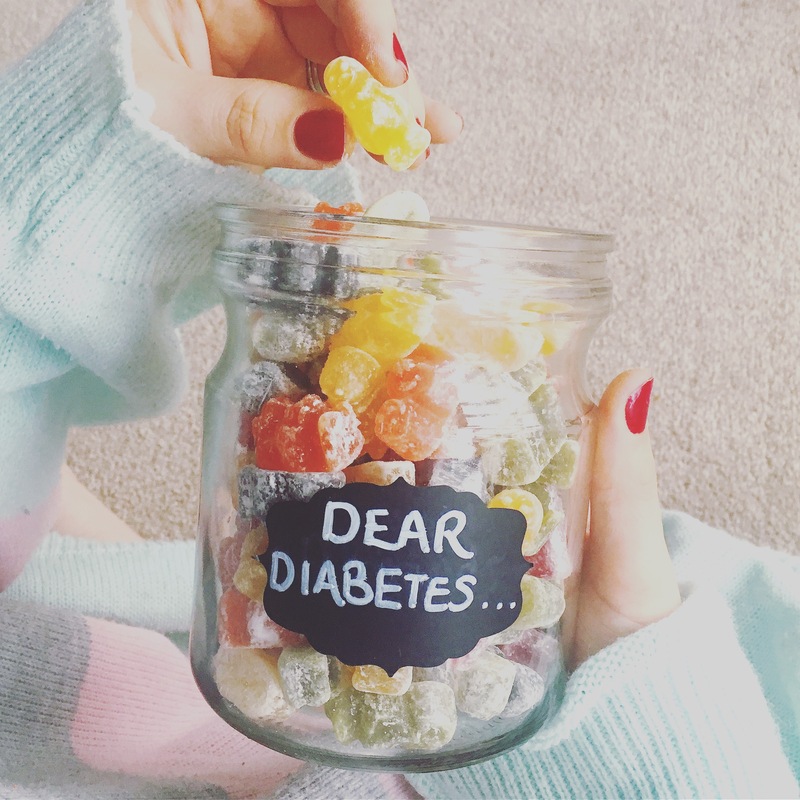 People are misinformed about you and confuse you with the other types of diabetes. They think you are curable, or that we got together because I ate too many sweets as a child. They tell me that you are going to cut my legs off and leave me blind. Please don’t! You are pretty fussy. You don’t like carbs, you don’t like alcohol, you don’t like too much exercise, too much insulin, too little insulin and you also seem to dislike the heat. You hate ‘the time of the month’ and any kind of adrenalin makes you c r a z y.
I never understood my body until I had you. I never appreciated how strong I was, how fearless I was and how brave I was. Over thirteen years we have been on such a journey. We have travelled, been to university, moved house, worked, been sick, got engaged, got married, been very sick, had a baby… yes! Let’s stop for a moment. A baby! Something I was told 13 years ago that we would never have together, all because of you. But we did it. I trusted you. I trusted me… and despite having a lot up against us we did it. I even managed you throughout having a c section, too stubborn to give my control to anyone else. Because I control you…or at least I like to think I do, most of the time. We even healed. I was told that because we had been together a lot of years I was likely to struggle healing and that the risk of infection was high. But we healed quickly and I trusted you wouldn’t let me down. I know we will never break up and I am quite content with that. You are with me for ever and you have become me. Like most people don’t leave their house without their phone all wallet, I don’t leave home without you (as well as my phone and wallet!). I have to think about you constantly. It would feel strange not having 2 packets of jelly babies in my handbag at all times, glucose tablets shoved in my knickers draw and every pocket of clothes I own. I would feel naked and scared not having 2 little machines attached to my tummy at all times, beeping at the most inconvenient of times…. Even in those intimate moments I get with my husband, there you are, waiting in the wings with a ‘that’ll teach her for ignoring me’ hypo (low blood sugar). Florence (19 months old) is even learning who you are as whenever my hypo alert alarm goes off (quite a lot), she says ‘uh oh’ and if she sees my blood sugar meter she says ‘mamas’. She knows you exist. I wish she never had to meet you but as I said earlier, you are me, warts and all. You have scared me, you have hurt me and you have upset me. You have put me in some vulnerable places and you have terrified my husband and family. But, you have never left me, for richer, for poorer, in sickness and in health. You have allowed me to have a voice, you have allowed me to connect with others, those who are fighting you and those who are struggling with you. You have allowed me to share my story in the hope of inspiring others and you have allowed me to share my passion of eating good, real (unprocessed food) as a way of keeping you controlled and occasionally happy. You have also allowed me to do something that was beyond my wildest dreams, but that is for us to talk about again soon. Very soon. For now, happy 13 years. I know life is fragile and no one can ever know what exactly is around the corner but please be kind to me for the next 13 years, I’ll do my best to look after you. Your strength and honesty is what inspires us. Your beautiful food is what nourishes us. Thank you for sharing your life and recipes….